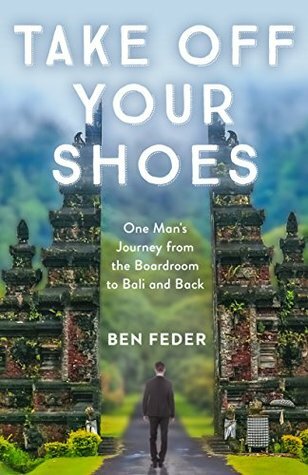 Take Off Your Shoes: One Man’s Journey from the Boardroom to Bali and Back by Ben Feder published by Radius Book Group. Take Off Your Shoes invites the reader on a journey of self-(re)discovery. A hard-charging, successful, financial wheeler-dealer, and corporate CEO, the author discovers at the pinnacle of his career that he may be losing the very things that drive him to be top dog in business. He risks his career to find personal fulfillment and rebuild family relationships before he loses them forever. Together, he and his wife and children set off on a sabbatical year around the world, a year that transforms them all. The writing is brutally honest, baring his innermost struggles, questions, and fears, in the face of which the reader is defenseless to resist joining the author on his quest. As the author navigates the ups and downs of his sabbatical year, the reader is challenged to examine what gives meaning to life, what is of utmost importance, and how to make the most of our fleeting span of existence. About the author: Ben Feder is President of International Partnerships for the U.S. at Tencent, the Chinese Internet titan, and formerly was CEO of Take-Two Interactive, the publisher of the smash video game hits, Red Dead Redemption, Grand Theft Auto, and NBA 2K. He serves on the boards of directors of public and private companies in the media and entertainment industries and is a director of Save a Child’s Heart, a nonprofit that works globally to rescue children with congenital heart defects. A Harvard Business School graduate, Ben lives in New York City with his wife, Victoria, and their four children.